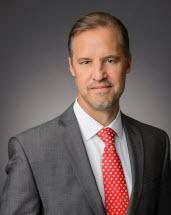 Luke Piontek has over 25 years of legal experience, with his practice focusing primarily on complex litigation and some corporate and transactional work. He has litigated hundreds of lawsuits for both plaintiffs and defendants involving a wide variety of matters including contractual disputes, regulated utility cases, such as rate cases, investigations, plant certification cases and other utility matters, class actions and expropriation (eminent domain) suits. Over the last decade, Luke has been fortunate to represent a diverse client base, including major chemical companies, commercial interests, such as real estate developers and a chilled water plant owner, the State of Louisiana and Louisiana State University, and individuals. His work with expropriation issues includes serving as the supervising attorney since 2010 on an expropriation project involving the acquisition of 446 parcels (70 acres) of property in mid-city New Orleans, Louisiana on behalf of Louisiana State University and State of Louisiana, Division of Administration for the construction of the new LSU University Medical Center (to replace Charity Hospital) and the new Veterans Affairs Medical Center. This project encompasses over 125 expropriation suits. Luke has litigated numerous cases ranging in value from $10 million to $40 million. In the class action arena, Luke has secured victories and settlements for his clients totaling over $100 million. Luke was born in the state of Sao Paulo, Brazil while his parents served there as missionaries for the Catholic Church. He grew up in New Iberia, Louisiana and attended Louisiana State University. While attending LSU, Luke was inducted as a member of Pi Sigma Alpha, an Honorary Political Science Fraternity. Luke earned his B.A. degree from LSU in Political Science in 1986 and then went on to pursue his Juris Doctorate at Paul M. Hebert (LSU) Law School, graduating in 1989. After practicing with a solo practitioner, Luke joined Roedel Parsons in 1993 and has been a partner with the firm since 1998. He is also a member of the firm’s Management Committee. Luke is admitted to practice in Louisiana state courts and before all U.S. District Courts in Louisiana. He is also admitted to practice before the Eastern District of Texas and the Southern District of Mississippi, as well as the U.S. Court of Appeals 5th Circuit. Luke is a member of the Louisiana State Bar Association and the Baton Rouge, New Orleans, and Federal Bar Associations. Luke has been recognized in the field of Energy Law since 2013 in Best Lawyers in America, the oldest peer-reviewed publication in the legal profession which recognizes the top 5% of attorneys nationwide. He has presented at several Continuing Legal Education seminars on topics pertaining to expropriation. A list of his recent publications is provided below. Luke and his wife, Mindy, live in Baton Rouge with their two sons. Luke is a member of the St. Aloysius Catholic Church and volunteers with St. Vincent dePaul serving the citizens of Baton Rouge. In his spare time, Luke enjoys following LSU sports and the Saints, as well as playing soccer with the Baton Rouge Soccer Club and surfing on the Florida panhandle.